The Tata Hexa concept was revealed at the Geneva Motor Show in March last year. Based on the same X2 platform that presently underpins the Aria, the Tata Hexa will be positioned as a flagship offering sitting above the Tata Safari Storme on the line-up. The Aria, even though was a capable MPV with an optional 4x4 drivetrain, hasn't done well in the Indian market, owing to its higher pricing. However, Tata Motors is banking on an SUV-like design, more premium interiors and powerful engine for the Hexa's success in India. It will compete against the Toyota Innova Crysta and the Mahindra XUV500 and is expected to be priced above Rs 15 lakh. 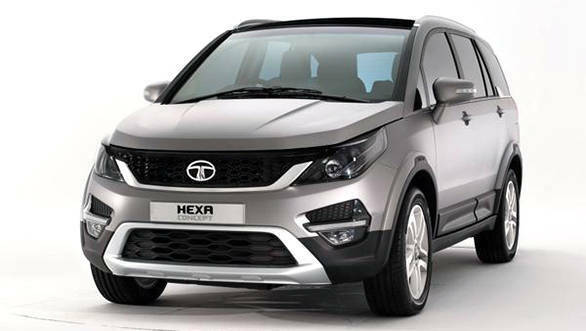 The Tata Hexa is expected to hit the showrooms by the end of this year in India. 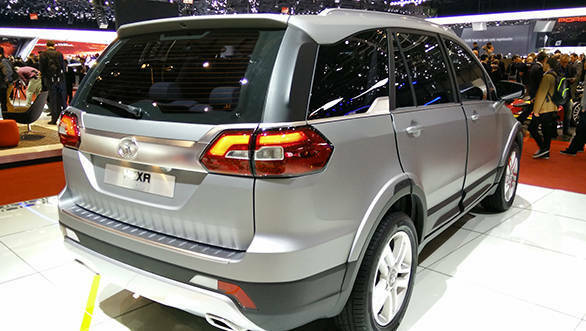 Compared with the Aria, the Hexa gets a more aggressive and sporty design. The front gets a wide honeycomb radiator grille with a piano black finish. It gets a new projector light design that has been updated with sleeker lines along with integrated daytime running lights. Even the bumper design has been updated with larger central air dam and fog lamp housing. The muscular bits have spiced up the previous design to make it look more appealing. The same can be said about the side profile which gets flared wheel arches and large 19-inch wheels. The overall shape is reminiscent of the Aria, but the new additions such as body-coloured roof rails, new compact quarter glass and the rugged cladding give the Hexa the necessary crossover touch. The rear profile looks impressive with new SUV-like split LED taillights, sporty spoiler, a solid chrome bar connecting the lights and an aluminium-finish bash plate. It also gets twin exhaust pipes neatly tucked underneath the rear bumper. Dimensionally, the Hexa measures 4,764mm in length, 1,895mm in length and 1,780mm in height. These numbers are identical to that of the Aria, except that the length has been reduced by 16mm. Both the Hexa and Aria have the same wheelbase of 2,850mm. One particular area where Tata cars have always impressed everyone is the cabin space, and the Hexa offers plenty of it. 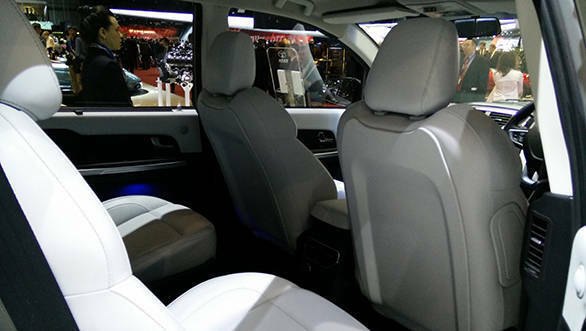 From the model at the Auto Expo, it seemed that the cabin offers generous headroom and legroom as well, something which we will verify in our review. The Hexa will be offered in both 6- and 7-seater options with the top-end featuring leather seats along with an eight-way electrically adjustable driver seat. The dashboard design has been tweaked with a huge central leather block with double stitching. In addition, it comes with a new 5.0-inch touchscreen infotainment system developed by Harman and is paired with a 10-speaker JBL audio system. It comes equipped with USB, aux-in and Bluetooth connectivity. The other features that will be seen on the top-end models include cruise control, reverse parking camera and ambient lighting. While the Tata Aria currently uses the 2.2-litre diesel motor that puts out 150PS/320Nm, the Hexa will be powered by the engine that is offered in the Tata Safari 400. The motor makes 156 PS at 4,000 rpm and generates 400Nm of torque. We have already sampled this motor in our Tata Safari Storme Varicor 400 road test and found that it has an impressive mid-range performance which is suited well for city and highway. This motor will be offered with a choice between a 6-speed manual shared with the Safari 400 as well as 6-speed automatic gearbox option. The Hexa also gets a multi-terrain mode, similar to the terrain response seen in Land Rover vehicles. Safety features such as ESP and airbags are expected to be standard across variants. 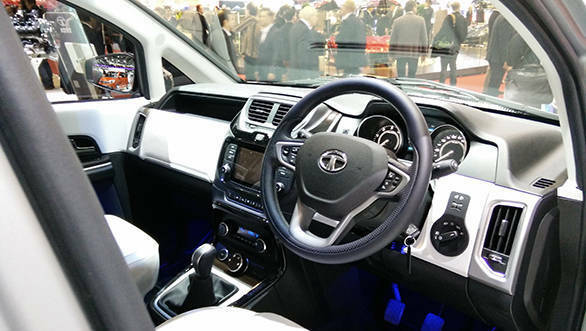 The Tata Hexa will face stiff competition from the newly launched Toyota Innova Crysta (Rs 13.98-20.77 lakh, ex-Mumbai) in the premium MPV space and will also compete with the Mahindra XUV500 (Rs 11.96-17.80 lakh). 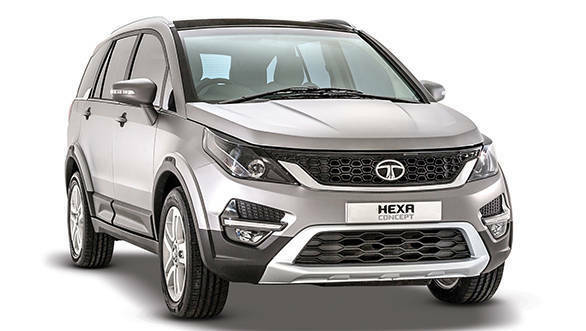 We believe that Tata Motors will price the Hexa in between Rs 15-20 lakh in India.